Understanding and teaching the Bible can be hard work so it feels like a win to find a resource that can help us do it well. 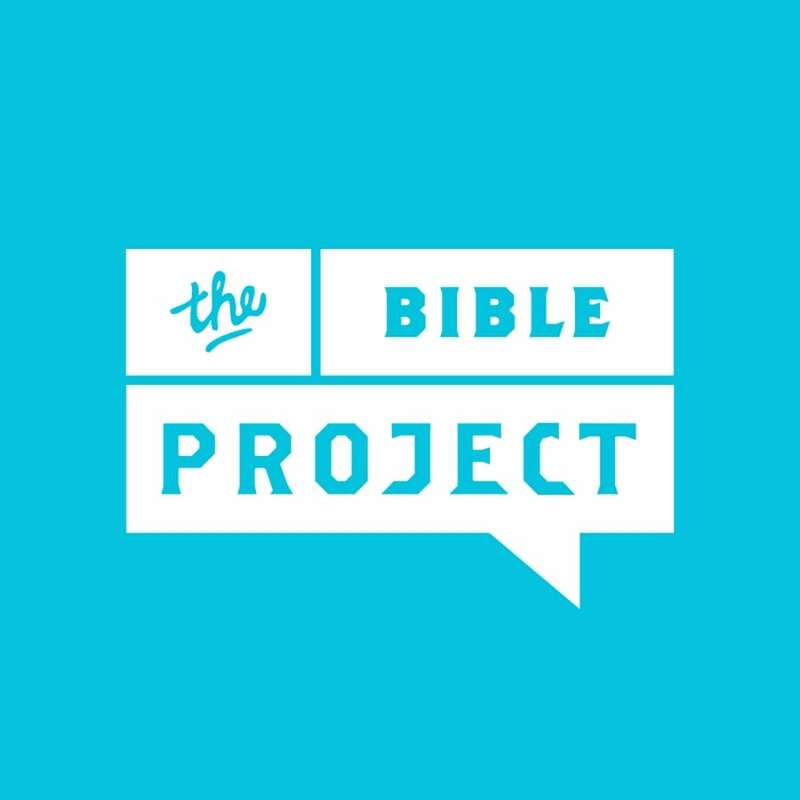 Over the last few years, many people have watched and enjoyed The Bible Project videos and started to use them more in teaching. In this post, I want to raise a few concerns about the theology taught in The Bible Project and invite you to think about how you use them for yourself and in teaching. Firstly, though, let me say there’s a lot to like about these videos. They are beautiful to watch and bring together words and images really well. They also provide lots of good background to books and ideas that would be unfamiliar to most of us. It’s also great how they bring every book and theme back to Jesus. As they say on their homepage: “Our mission is to show how the Bible is a unified story that leads to Jesus”. So what are my concerns? The main thing is that I don’t think The Bible Project does justice to the biblical doctrine of the atonement. Now these two points are true. Jesus uses the language of “debt” to talk about God’s forgiveness in the parable of the unmerciful servant (Matt 18:21-35) and during his discussion with Simon the Pharisee, after his anointing by a “sinful” woman (Luke 7:36-50). The Bible also does say how the blood of Jesus “purifies us from all sin” (1John 1:7). What is lacking is any explanation of the cross as a propitiation, that is, a sacrifice that turned away the wrath of God against sinful humanity. Yet what is lacking here is any explanation of the cross as a propitiation, that is, a sacrifice that turned away the wrath of God against sinful humanity. This aspect of the atonement is taught throughout the Bible, but especially in Romans 1-4. This is not the place to explain it fully, but you can read more in chapter 7 of John Stott’s classic The Cross of Christ or (more briefly) in chapter 4 of Why Did Jesus have to Die by Marcus Nodder. Propitiation is an important element of the doctrine of atonement (I would even say the heart of the doctrine) so it’s a problem if it’s not being taught. … as Israel’s Messiah to die on behalf of all people as a sacrifice for sins. As our representative, Jesus took into himself all of the just consequences of the pain, the sin and the death that we have caused in the world and he overcame it all by his resurrection from the dead. It’s his new resurrection life that he makes available to others. This does not include anything about propitiation or turning aside God’s wrath. It seems that Jesus’ death, according to The Bible Project, is not about turning aside God’s wrath. Rather, it’s about Jesus somehow taking the consequences for sin into himself, paying a debt and covering or purifying the effect of sin in ourselves and others. Propitiation is not something the cross achieves. So does God ever respond to sin with anger or wrath according to The Bible Project? Is God’s wrath a problem that the cross needs to deal with? It would seem that the answer is no. Is God’s wrath a problem that the cross needs to deal with? It would seem that the answer is no. There’s a direct effect of our evil like when someone steals from another person they’ve created injustice. Therefore they owe something to make it right. But there’s another indirect effect of evil because they’ve also ruined the environment of the relationship creating a lack of trust, there’s emotional damage, it’s like vandalism and they need to make that right too. These two points I think are true, but there’s no mention of sin leading to God’s wrath and anger against sin and sinners. In “Romans 1-4”, the problem, the narrator explains, is that: “all the nations have become trapped in a spiral of sin and selfishness” and that “the human heart and mind are broken” but not that we are under the wrath of God. In “The Gospel of the Kingdom”, the problem is that “all humanity has rebelled against God resulting in the tragedy and devastation of our whole world”. In “The Messiah” the problem is that “the goodness of the garden is tragically lost and evil and death enters (sic) into God’s good world”. Neither video mentions the wrath or anger of God. Now, I suspect there are a couple of false dichotomies here. First, there’s a dichotomy between judgment and consequence: our problem is with sin and its consequences, not with God himself. But, while it’s true that sin does have consequences—the human heart and mind are broken and we are trapped in sin—these aren’t just effects of sin, they’re also “the wrath of God … revealed from heaven” (Rom 1:18). The brokenness that Romans 1 describes is the result of God actively “giving us up” (vv 24, 26, 28) to the deadening and deforming effects of our sin. And this is why, when the Apostles use the word atonement in the New Testament to talk about Jesus, they do not depict an angry God, for them, when they think of atonement, they think of God’s love. Tim Mackie explains earlier in the podcast (at about 35 minutes) that the idea of God killing Jesus instead of us or taking out his anger on Jesus instead of us is a distortion of the gospel. According to him that’s actually taking pagan notions of sacrifices made to gods such as Zeus and reading them into the story about Jesus. The logic, then, is that God can’t be wrathful toward us because he is the one who sent Jesus to save us. What really happened on the cross, according to the podcast, is that Jesus died and absorbed into himself the consequences and the effect of all of the evil we have released into the world and conquered it with his love and resurrection life. But, again, the Bible shows us that it’s more complicated than that. God is both our judge and our saviour. He responds to us with anger and love. He is wrathful towards us in our sin but also demonstrates his love for us by sending Christ to die for us, save us and reconcile us to him (Rom 5:6-11). We don’t have to choose between a God who is angry with us and a God who loves us. We don’t have to choose between a God who is angry with us and a God who loves us. So, to sum up, The Bible Project does not teach that God responds to sin with wrath and anger. The cross deals with the consequences of sin such as brokenness or impurity, but does not turn aside the wrath of God. Now, does this matter? How important is it to teach the wrath of God and propitiation? Is this a minor issue that we could overlook given the benefits of other aspects of The Bible Project? I think this does matter, for several reasons. First, the atonement and God’s response to sin are fundamental doctrines in the Bible. This is why theologians work so hard to get them right. If we are in error here the chances are that errors will seep into our other doctrines. The atonement and God’s response to sin are fundamental doctrines in the Bible. If we are in error here the chances are that errors will seep into our other doctrines. Second, it’s important we really do know God as he is, as revealed in the Bible, not as we would like him to be. God does respond to sin with wrath and anger and knowing this is important. It means we know God better and know how seriously he takes sin and how urgently we need propitiation. Third, it’s important that we understand all the blessings of the cross. If God himself is angry with out sin then the problem is much more serious than if we are just dealing with the effects of that sin. If we neglect this aspect of the atonement we could be left wondering whether sin is really that serious. We are denied the joy of knowing the magnitude of what God has saved us from: wrath replaced with complete forgiveness, reconciliation and redemption. The fact that Jesus’ death turned away the wrath of God is the much greater news! Fourth, I think The Bible Project’s neglect of God’s wrath in regard to the cross leads them to neglect it in other parts of their Bible teaching. For example, wrath is not mentioned in their video on Romans 1-4 where it is clearly an important theme. Neither is wrath mentioned in their video on Nahum, which is surprising given how prominent it is in chapter 1. So how should we respond to the concerns I’ve raised? Many responses are possible but I’ll just mention three. Firstly, we should be careful and discerning as we watch these videos. We should make sure we read the Bible ourselves and check to see if what the video says fits with the Bible. We should also think carefully about what the videos teach about any particular doctrines. Sometimes it can help to read, or listen to, the words without watching the videos. In this way we can concentrate on what the videos are saying rather than what they are showing. Secondly, we should be very cautious about recommending The Bible Project videos to people in our church or using them in our ministries (if at all). They are very easy to watch so some viewers might uncritically believe everything the videos teach about a book or doctrine. As we’ve seen, this could mean adopting a doctrine of God and the atonement that lacks wrath or propitiation. The Bible is full of warnings about the danger of false teaching and we need to take these warnings seriously (see, for example Acts 20:25-31 or 2 Tim 4:1-5). Thirdly, we should be on the look out for other good resources that teach the Bible better. I make a lot of use of Visual Unit (https://visualunit.me). It has lots of great diagrams that help explain the Bible. I wish I could find more options for videos but haven’t had success so far. The Bible Project does make beautiful videos that teach a lot of great things but the doctrine of the atonement as presented in the videos lacks any element of propitiation or the wrath and anger of God. Because of the importance and centrality of this doctrine we should think very carefully about the use of the videos in our personal learning and ministries. Richard Sweatman is an assistant pastor at Hunter Bible Church in Newcastle. He’s married to Jen and does his best raising two energetic boys. He loves reading fiction and theology and is mediocre at a variety of hobbies.